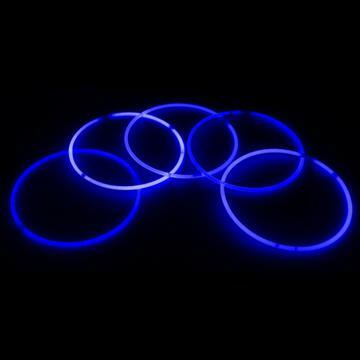 The fun, versatile 12HR Blue color Color 22" Glow necklaces are great for adding imaginative twists to any party or event! Instantly add beautiful glowing color and drama to any Halloween costume. And the bright glowing necklace will help people see your little Trick-or-Treaters in the dark! Use our Blue color Color 22" Glow Stick Necklaces as cool glow in the dark centerpieces, or attach the glow necklaces together with their connectors to make glow rope and light up borders and pathways or make cool glowing wall pictures! Use Glow Necklaces for marking areas for glow in the dark volley ball and soccer or football night game boundaries. And mark people - like all the members on your team, and objects too - like that pond or tree you don't want to walk into! 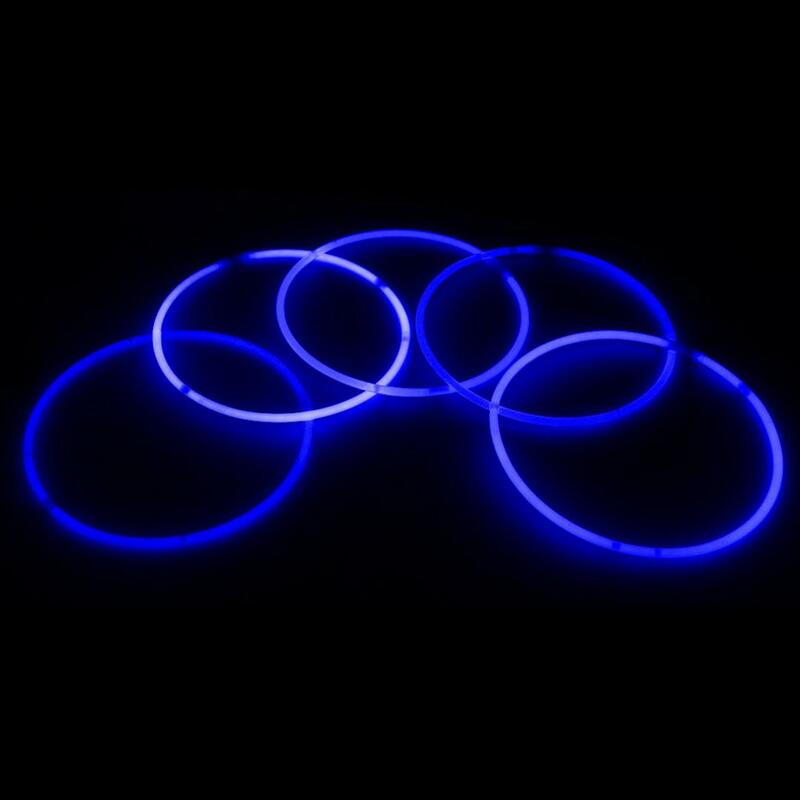 Blue color Color 22" Glow Necklaces are great to hand out to the kids when camping so you can keep an eye on them in the dark!